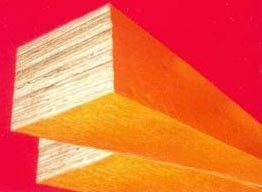 Dimensionally accurate, termite resistant, superior quality and long service life are the key features of our Veneer Lumber. We are a known Manufacturer and Supplier of Laminated Veneer Lumber. It is accurately laminated and so comply all the international quality norms. The Laminated Veneer Lumber is widely used for sheathing diaphragms, siding, casing, partitions, etc. We make sure that the placed order is timely delivered.